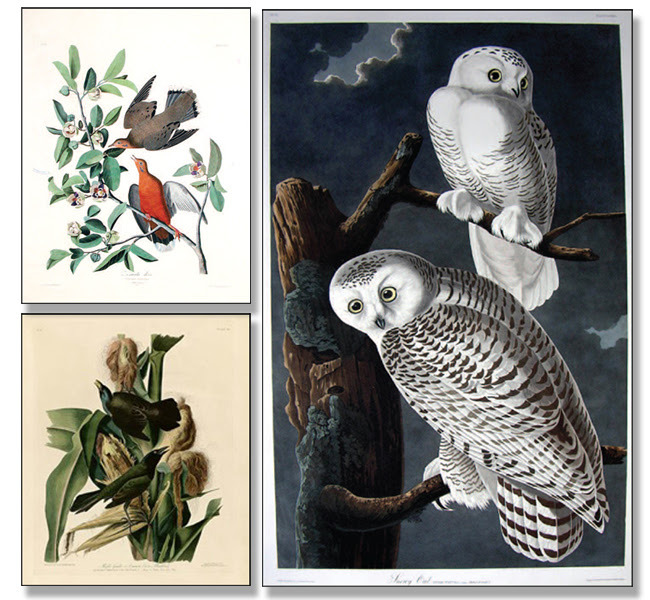 We are excited to announce our first ever Silent Auction of John James Audubon hand-colored engravings and lithographs, natural history art, and a variety of historical maps. Graham Arader, Founder and Owner of the Arader Galleries, is generously not charging the usual "buyers premium" (20% of the bid price) on any piece purchased through the Auction. Instead, Graham is asking the lucky buyer to make a tax-deductible donation for that amount directly to QLF. Thanks to Graham, this is a win for buyer, QLF, and conservation. The Auction will begin officially on April 1st with bids accepted by phone or mail/fax from Wednesday until the 28th. The Auction will conclude the evening of 28 April, during a QLF reception at the Arader Galleries, 1016 Madison Avenue, New York City. Volunteers will be available that evening to help those at the reception while also being in contact by phone with those last minute bidders unable to attend in person. We want the Auction to be available to all QLF friends and Alumni, worldwide. After reviewing the link above or the catalog itself (being mailed this week), you may begin bidding immediately by calling Morgan Beckwith, Director of Arader Galleries, at 212.628.7625 (New York City) during business hours. If you have questions about the auction or how to participate, Morgan can be reached atmorganbeckwith@aradergalleries.com. You can also call Kate Gilmartin at QLF (978.356.0038 x223, kgilmartin@qlf.org), who is happy to guide you through the process or pass along your questions to Morgan. For those attending the QLF reception on the 28th ($100 registration fee required), you are cordially invited to sign up for a guided tour of an exhibition of Audubon's original paintings at the New-York Historical Society, which will begin at 3 P.M. that Tuesday afternoon. We will be able to take the first 35 persons who sign up. Remember, you first have to be registered for the reception and auction. Then, if you are interested in the afternoon tour, contact Nancy Malaquias at nmalaquias@qlf.org. On behalf of the Quebec-Labrador Foundation, I extend my gratitude and deep appreciation to Graham Arader and his marvelous staff at the Arader Galleries for their time, patience, and expertise in sponsoring a first ever QLF event of this kind. We want everyone to have fun and hope you will participate. Thanks to Graham, the Auction offers a varied selection of exquisite Audubons, other natural history art, as well as historic maps. There is indeed something for everyone! I look forward to seeing many of you in New York in late April. To all of you, bid early and often!